Phil Anderson Financial Services – which has offices in Ellon, Aberdeen and Caithness – recently donated £500 to the Gathimba Edwards Foundation, a charity that supports disadvantaged kids in the east African country of Kenya. To date, the Gathimba Edwards Foundation, founded by Aberdonian, Myles Edwards, and Kenyan international, Gideon Gathimba, has built 17 homes for over 70 children and provided education opportunities, shelter, clothing and food to 243 kids across Kenya. 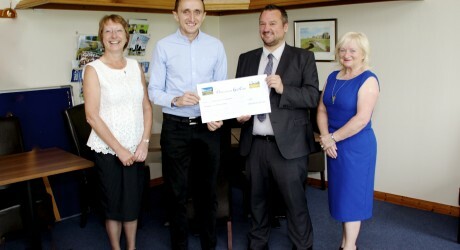 Phil Anderson Financial Services regularly supports numerous charities and community initiatives across the North-east. Last year, the business was recognised for its charitable efforts and was awarded with the Small Business Big Heart Award for its support of the Aberdeen Cyrenians. Check out too twitter.com/allCharitiesPR and twitter.com/allFinancePR.